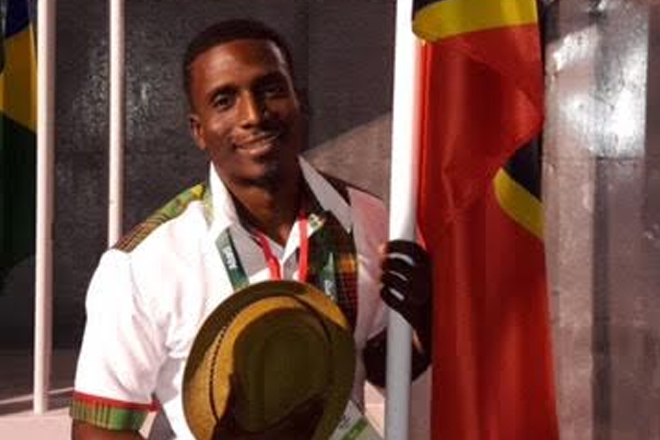 (ZIZ Sports) — SKN National Olympic athlete Antoine Adams narrowly missed out on qualifying for the men’s 200m semi-finals at the Rio Olympics on Tuesday. Adams ran a time of 20.49 seconds to place fifth in his heat. Andre De Grasse of Canada placed first with 20.09 seconds. Nethaneel Mitchell-Blake of Great Britain placed second with 20.24 seconds. The final qualifier from that heat was Rondell Sorillo of Trinidad And Tobago with 20.27. The next event for the SKN athletics team is the Men’s 4×100 relay on Thursday 18th August at 10:40 am.